Imaginate has announced the programme for its 30th anniversary year, which will feature an enhanced Children’s Festival programme including an immersive production from ground-breaking Punchdrunk, two new commissions from Scottish theatre makers, an exciting year-round schools programme, new international partnerships and more development opportunities for artists. An enhanced Festival programme: A unique production from Punchdrunk, performing in Scotland for the first time, and four Scottish productions. PUSH+ : A three-year Creative Europe-funded project enabling Imaginate to forge stronger links with four European countries as the UK faces leaving the European Union. Archiving Project: An opportunity to explore Imaginate’s rich history of festivals and projects for the first time, online and at the Scottish Theatre Archive. Immerse: A new three-year collaboration with world-renowned immersive theatre makers Punchdrunk (in their first foray in Scotland) to deliver unique and innovative theatrical experiences in six adventurous schools in areas of high deprivation, using a creative approach to boost skills in reading, writing and listening, and developing deep relationships with the schools over three years. This programme is sponsored by Baillie Gifford. Explore: An extension of the Theatre in Schools Scotland programme, in partnership with National Theatre of Scotland, building on the experience of Scotland’s best children’s theatre companies to bring children to the Festival for the first time. Artist residencies in the schools creating the foundations for profound and lasting change. A Teachers’ Theatre Club in partnership with the Edinburgh Festival Fringe, to help teachers build their experience and confidence of watching and discussing live performances. The Inspiring Schools programme is funded by PLACE (Platforms for Creative Excellence), a unique three-way partnership between the Scottish Government, the City of Edinburgh Council and the Edinburgh festivals. 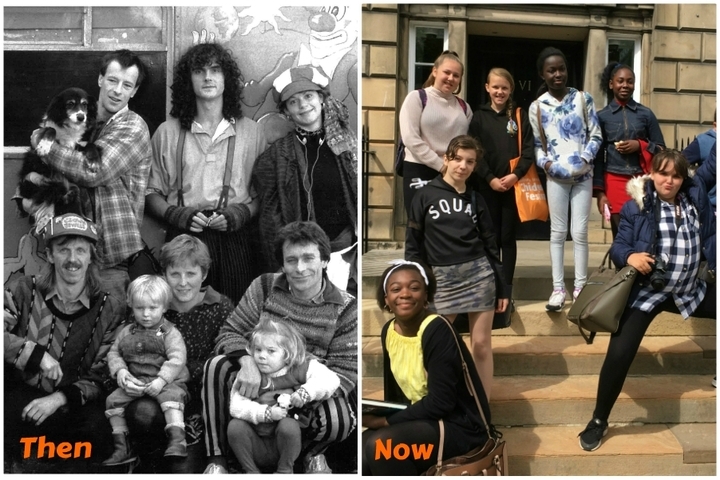 “Imaginate has had an incredible impact on Scotland’s arts scene over the last decades. This year’s plan, with its diverse, high-quality programme of activity, confirms the festival’s commitment to providing a platform for our young people to engage with the arts and experience culture from an early age. From its early beginning in a tented village in Inverleith Park, the Children’s Festival has become one of the most celebrated festivals for young audiences in the world, attracting over 11,000 children yearly, as well as hundreds of industry professionals from over 23 countries. The 30th edition of the Festival will take place from Saturday 25 May to Sunday 2 June 2019, showcasing some of the world’s best theatre and dance made for young audiences. This year, the programme boasts a unique production from Punchdrunk, Small Wonders, an interactive theatrical experience where children are invited inside the home of an elderly miniaturist for an awe-inspiring magical journey. The production will be shown exceptionally over three weeks to enable as many children as possible to attend. Two new Imaginate commissions are also taking pride of place in the Festival programme. Stellar Quines, the award-winning Scottish theatre company that celebrates women in theatre, are staging a new production of the internationally acclaimed play This Girl Laughs, This Girl Cries, This Girl Does Nothing, a contemporary fairytale about triplet sisters abandoned in a forest, who follow their own path in the world and fulfil their dreams through courage, determination and friendship. The Letter J’s Super Human Heroes is a comical and musical dance with darkness, exploring the ways we are, fail and try to be super human heroes. This funny and poignant family show featuring live music, dance and video projection, offers a version of the world where even Captain Sunshine is overwhelmed by the challenges of the day, tired of being sunny, funny and smart. 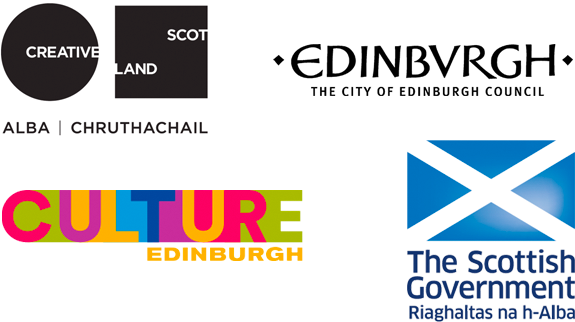 Both commissions are supported by the Scottish Government’s Festivals Expo Fund. The full Festival’s programme will be released on 20 March. Having inspired children over the last 30 years, the Festival is now seeking to raise £10,000 to spend over the next 5 years to ensure that more children can access its world class shows regardless of their background and circumstance. The Inspiring Futures appeal will help make the Festival more accessible than ever before through transport subsidies, free tickets for those who need it most and adapted performances for children with additional support needs. Imaginate’s Creative Development programme is also getting a boost. The programme plays a central role in the development of a vibrant sector, supporting artists with skills development, networking and international exchange. Residencies will be set-up in partnership with key arts organisations across the country to encourage new artists to create work for young audiences. Diversity is at the heart of the programme. Residencies in 2019 will support artists with disability (with Birds of Paradise) and artists of colour (with Project X), with more opportunities being created over the next three years. In addition, Imaginate is developing Accelerator, a programme offering funding and support to allow artists to take new and ambitious ideas to production. As well as artistic support and mentoring, artists will benefit from on-going assistance from a producer who will ensure the work has a life beyond the residency. To encourage new voices in the sector, Imaginate will also run Launchpad, an offer similar to Accelerator aimed at emerging artists. Imaginate has once again been awarded Creative Europe funding to lead PUSH+, a new artistic development project with four European partners and Thailand, to explore topics which are under-represented in theatre and dance for young audiences. The three-year project will enable artists from Scotland, Norway, Belgium, Denmark and Ireland to ‘push’ their thinking on the ideas of Home, Failure and Different Bodies, through labs, residencies and international workshops, leading to more diversity of people and stories in work for young people. Lastly, an interactive archive will open up 30 years of Imaginate’s history to the public. Made in collaboration with a PhD student from the University of Edinburgh, the online tool will use new interviews, old photos, video clips and press cuttings to celebrate the organisation’s past as much as its present.